I I share Samantha Mozart’s words when I say I am pleased to announce that I have been given the Liebster Award for 2016. This marks the second year I have received the award; the first was for 2014. 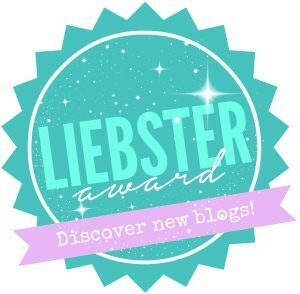 The Liebster Award is peer nominated, normally given by bloggers to other bloggers, and offers the opportunity to develop relationships with fellow bloggers and new readers. I accept this award and am honored to be part of this tradition. Thank you, Samantha Mozart, for nominating me. Samantha is a gifted journalist and writer of non-fiction and fiction stories. She is a dedicated historian. In addition, Samantha wrote two expressive books about her experiences as a caregiver for her mother, who had Dementia. Her books, BEGINS THE NIGHT MUSIC, A Dementia Caregiver’s Journal and TO WHAT GREEN ALTAR, A Dementia Caregiver’s Journal talk about her involvement as an unpaid caregiver for her mother. Additionally, you will find Samantha’s blog, The Scheherazade Chronicles at http://thescheherazadechronicles.org. Again, Samantha, Thank You for being a wonderful and supportive friend. 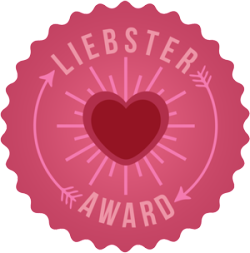 Write a post about yourself, displaying an image of the Liebster Award. Link back and thank the blogger who nominated you in your post. 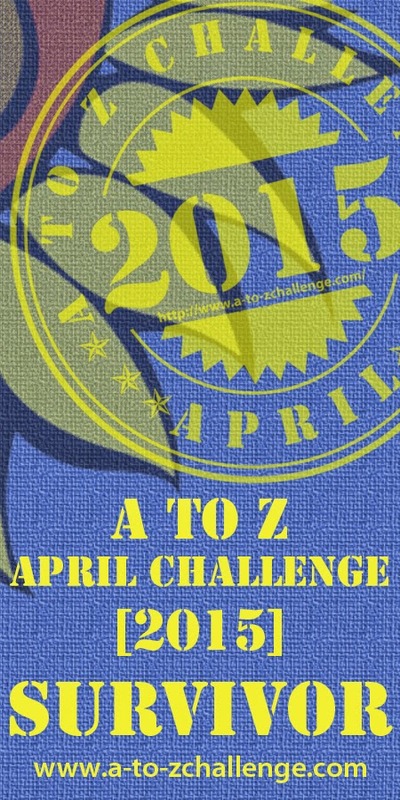 Pick 5 – 10 new bloggers (must have less than 300 followers) to nominate and ask them 11 new questions. Do not re-nominate the blogger that nominated you. 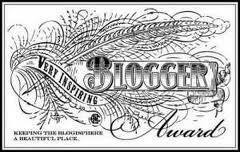 Go to each new blogger’s site and inform them of their nomination. When did you begin writing and what or who inspired you to dedicate yourself to writing professionally? My writing career is quite confusing. Years ago I was extremely involved with organizations that helped children. I was so extensively interested in the Lake Washington School District, where my young children were schooled, that I nudged the district into creating a brochure listing their various programs and the details about the these programs. I interviewed the head of each program and wrote a detailed outline about it. Since I worked closely with the district’s Public Information Officer during this time, I asked if I could become her Intern. Her response was that she would love to have me as her Intern provided I take writing classes. Due to life, after my Internship I stopped writing. Then many years later my mother experienced five years of traumatic strokes. Finally between the ugly dynamics in my family, and after my mother’s death I needed a creative outlet so I took writing courses. My teachers encouraged me to continue my writing. Due to the dysfunction in my family I wanted to write stories about my family, hoping that others would learn from our mistakes. Do you have a writing routine? Please tell us about it. I wish I could say I have a writing routine, but I don’t. I write when the urge hits me. However, this year I have been caregiving for my ill husband. Additionally, the quiet, soothing writing area that I had for writing is gone as we had to move because of my husband’s illness. So at the moment, I feel like I have crashed head-first into a brick wall as my brain is numb and I’m physically tired. 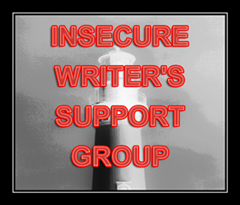 In fact, this month I missed my submittal for the Insecure Writer’s Support Group. I can only hope that this submittal will double as a response to both the IWSG and Liebster? Do you write at a computer, a typewriter or in longhand, or a combination of these? I definitely write at my computer. This way I can actually read what I write. My hand can’t keep up with my brain and I have so many crossed out sentences and arrows redirecting me that I get confused as to what I have written when I use longhand. Do you have a designated space for writing? Where? Prior to our move to this apartment, my desk was in the back of the kitchen looking out over a gully into Miller Bay. I could play the music on my computer or sit and daydream. Now, in this apartment, my desk is against the back wall of the living room. Today, if I had tried to write I would have had the football games playing constantly in my ear. The TV distracts me. Do you write to music? If so, what kind? I love music, but what music I listen to while I write depends on my mood. Usually, I prefer peace, quiet, and solitude. I don’t have that here in this apartment. What types of works do you read? I read a wide variety of genre. It depends on what book jumps into my arms there in the book store. I do like memoire as this is what I’m attempting to write, but I read mystery, romance, non-fiction, history, biographies, and as I mentioned memoires. Who is your favorite author and how has this author influenced you? I don’t have a favorite author. I truly love a wide variety of books. I grew up with a literal library in our house, so books have always been special to me. However, I think I especially love Sherlock Holmes as a ten year old child I read all 1,056 pages. What is your writing process from inception to completion and publication? I will have to say that my writing process regarding my stories can be similar to a ping-pong game. I bounce back and forth between my computer and my duties during the day. Often I write and re-write before I let my story settle. Then I go back to edit it. My biggest issue is that I tend toward telling stories rather than showing them, so I definitely need to work at that aspect of my writing. Are you published? Through a publisher or indie? E-books or print or both? I write short stories for magazines, so far. I have published four short stories for I LOVE CATS and LA JOIE magazines. Please share a paragraph or two of a work in progress. At the moment, my only work in progress is answering the questions for this questionnaire. With luck, this will stimulate my thinking so that I begin working on another story. However, right now my brain is stuck in the mud! Do you have an agent? If so, how did you get your agent? Otherwise, how do you market and promote your work? No, I don’t have an agent as I have not worked with the idea of writing a book, to this point. My thinking may change, though. I sincerely hope you will enjoy these bloggers as much as I do. This was lovely to read Gwynn! And yes this post more than makes up for missing the IWSG .. Thanks Susan for your everlasting support! You are a dear! I do feel bad about missing this month’s IWSG but I literally could not think of anything to write. In addition, it was a bad morning as John passed out again. John doesn’t pass out as often, but he seems to do it every other week. I would LOVE to read your book about AGING AND BECOMING at this point! Big Hugs to you, and thanks for stopping by! I’m sorry I won’t be engage with awards, being totally involved in self-publishing my first novel, Course of Mirrors, after having beeb strung along by a small publisher for over 3 years. I’m not getting any younger. I totally understand why you have not accepted the Liebster Award, Ashen, but I want you to know that I enjoy your blog, and this would give you the opportunity to connect with other bloggers. I’m truly sorry that you have been strung along by a publisher. I think your words DESERVE to be heard! Good Luck. I look forward to hearing more from you as your book progresses to the finish-line. Sorry for the speller. Seems I can’t edit the post. I do have the award, got it some time back, forget when, but you thinking of me, means a great deal. Thank you for that and for sharing more of yourself with us. I’m not sure Silvia, but I may have nominated you for the Liebster Award last time too. Either way, I too already have a Liebster Award, but since I didn’t post for the IWSG this month, I needed to write something. I hope you change your mind and decide to accept the award. You ARE a fabulous writer. And, yes, writing for me does take inspiration. I’m glad to hear that you need to be inspired too. Thanks for coming here to comment. I appreciate your support! A well deserved award Pat, congratulations!!!! Thank you for the compliment, Pat. Thanks for stopping by my blog. I’m finally getting around to reading this, Gwynn. Very nice. I find your thoughts and how you approach writing interesting. I know what you mean about life’s interruptions. I have come upon, lately, many stories unfinished in my files — begun in 2008-2009 when I was caregiving for my mother; but, here they are now, like special treasures found in a Christmas stocking for me to play with and develop. You’ll probably find the same someday. A good friend who studies these things once said to me, “You are always right where you need to be, doing what you need to do.” I believe this is true, though often I have to remind myself. Thanks for your kind, promotional words about my writing. I truly appreciate it. 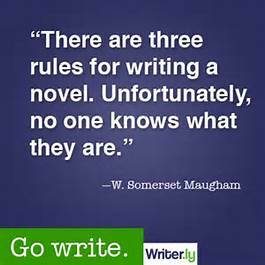 And, foremost, you are a really good writer, and you continue to improve. 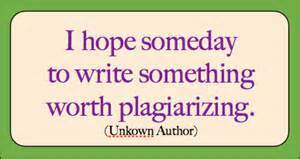 Your forthright honesty is important to good writing, and so you have that as well. Keep at it when you can. 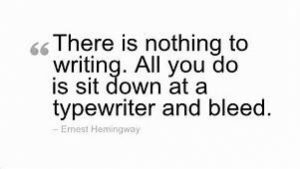 And, please, don’t stop blogging. Thanks Samantha for your kind compliments about my writing. I have two ideas I currently started for my blog as I am in the process of getting new hearing aids. OMG! How different the world sounds when I can hear. I had forgotten the actual sounds of the water lapping against the shore. I can actually eavesdrop on conversations now! So I’m writing about the new sounds in my life. Thanks again for being the wonderful, supportive friend that you are! Congrats on the fresh ears, Gwynn. Sensitivity to our environment and the sound around us is so important. I am happy for you. Looking forward to your next post with your thoughts and experiences with that. And, yes, I can be heard saying, “Why me?” from time to time. Gwynn, I suspect that many people, knowing I’m a writer, are cautious about what they say around me; because I do listen and just watch. F. Scott Fitzgerald has a heading in his “Notebooks” titled “Conversations Overheard.” He’s got some good ones, too. You can view that online. I didn’t know about Fitzgerald’s “Conversations Overheard.” Thanks, I’ll have to go take a look. Thanks, I just saw it in my email box.